Most people are familiar with The Lord’s Supper. Though you may know it by other names: The Last Supper, The Lord’s Evening Meal, The Memorial of Jesus Death, Holy Communion, The Passover or others. However, they all represent the same important celebration; that of Jesus spending his last meal with his faithful apostles before his death. The same way this event has various names, there are many ways that Christians celebrate it during the Easter holiday. 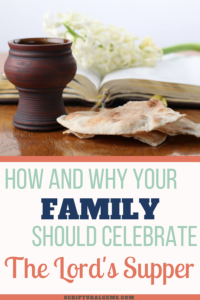 In this post, I’ll discuss how The Lord’s Supper took place as well as the importance of celebrating The Lord’s Supper with your family the way Jesus did. More importantly, I’ll show you from the bible why you and your family should celebrate this momentous spiritual occasion. 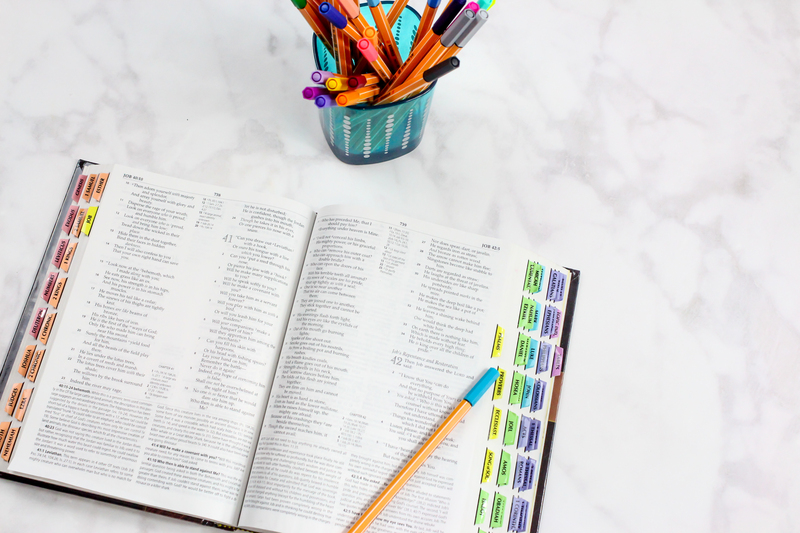 In another post, I wrote about how Stepfamilies can explain the death of Jesus Christ to their children (of course, these tips can apply to any family.) However, in it, I begin by stating the need to plan before discussing important topics together. When my husband and I want to explain major events to my stepdaughter, we get together first to plan our approach. This involves setting a date convenient for everyone and gathering ins a place that is quiet and free from distractions. This means no cellphones unless it’s in airplane mode and you’re using your bible app. After you explain what the family session is about, it’s time to dive in! I’m sure you can imagine how his apostles would have felt hearing this. But also take the time to reflect as a family how Jesus felt. He knew what was about to happen to him even though this was why he came to earth; to die to do for our sins. He knew that the religious leaders back then were plotting against him to have him killed. To make matters worse, Jesus also knew that one of his 12 apostles was going to betray him to the persons that wanted him dead. This person was Judas Iscariot, who was influenced by Satan the Devil. As a family, you can compare this to a few real-life situations. Can you imagine if one of your closest companions from work, school or even a family member, was to falsely accuse you of doing something wrong? How would you feel if they betrayed you to people who hated you for 30 pieces of silver (worth about $600 today), which is what the religious leaders agreed to pay Judas. They felt that Jesus life was worth so little when we know the truth: Jesus life was worth the price of forgiving ALL of our sins. This includes all of us today and those who have died. This gift that we have received is absolutely priceless. I could not be more grateful for what Jesus did and one of the ways I plan to show my appreciation is by observing this important event on April 19th of this year. I also find that writing down my thoughts and feelings as this momentous event approaches helps me to reflect on what Jesus did for me. 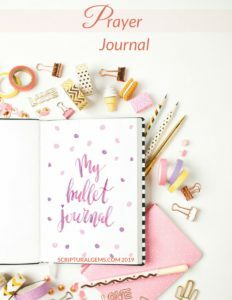 You may find this method can also help you as you jot down ways to show your gratitude for everything he endured for you. Jesus spent his last night in Bethany on Nisan 13 and then began preparations for the Passover the next day. This preparation included getting a lamb, killing it and roasting it whole after Nisan 14. However, Jesus deliberately did not give other specific details about the event to everyone. He did not want Judas to pass on information, such as where they would have the meal and who would prepare it, to his betrayers. When Peter and John arrived, they met the landlord prepared for their request and all the other details were exactly as Jesus told them. You can sign up below for a free schedule that chronicles these last events in Jesus life before he died for our sins. …I have eagerly desired to eat this Passover with you before I suffer. We can easily imagine how Jesus felt at that time. Think about it. If you had one more day on this earth, wouldn’t you want to spend it with those closest to you? Your best friend? Your family? Jesus knew that his end was very near. He wanted to teach his apostles as many vital lessons as possible and to also show them how much they meant to him. As the Passover meal began, something unusual happened. Jesus removed his outer garment, got a towel and basin with water and began to wash his apostles’ feet. This was unusual because this was a task usually performed by a servant. However, they organized a private room with no host which meant that thee were no servants available. This provided a powerful lesson in humility for Jesus’ apostles as none of them took the opportunity to perform this lowly task. Now that Jesus is at their feet cleaning it, they are embarrassed. In fact, when it was Peter’s turn, he protested at Jesus washing his feet. …“Do you understand what I have done for you?” he asked them. 13 “You call me ‘Teacher’ and ‘Lord,’ and rightly so, for that is what I am. 14 Now that I, your Lord and Teacher, have washed your feet, you also should wash one another’s feet. 15 I have set you an example that you should do as I have done for you. 16 Very truly I tell you, no servant is greater than his master, nor is a messenger greater than the one who sent him. 17 Now that you know these things, you will be blessed if you do them. You can take this opportunity for everyone in your family to explain what they learned from Jesus example. You can also consider as a family other practical ways you can display this quality of humility among family, friends and others. This helpful lesson taught me and my family that we should not put ourselves first. We shouldn’t think of ourselves as better than anyone, feeling that we deserve to be “served.” For example, when we are out to restaurants, we show gratitude and thanks to the waiters for doing their job well. We also show appreciation to salespeople when we go shopping. No matter our situation in life, we can all be willing to serve others with humility and without bias. The actual event of the Lord’s Supper has been captured in so many ways. One of the most well-known depictions was made by Italian artist Leonardo da Vinci in his Last Supper painting created between 1495–1498. This would be a great idea for artistic families to get together and recreate. During this family art project, you can talk about the events of The Lord’s Supper or listen to the audio version of this account in the bible as you draw and paint together. 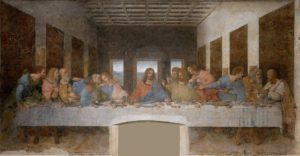 As shown in the painting above, Jesus is sitting in the middle with his 11 apostles. You may be asking yourself, where is the 12th apostle? At some point during the Passover meal, Jesus explained to his apostles that one of them would betray him. Everyone, including Judas Iscariot, denied that they would ever do this. Judas, under Satan’s influence, left Jesus and the rest of the apostles in order to set up Jesus’ betrayal. It is at this point, with Jesus and his 11 faithful apostles, that something special takes place. This is when Jesus instituted a simple ritual that we would observe every year at Easter time. In this way, Jesus arranges for a commemoration of his death that his followers, including us today, follow and observe every year on Nisan 14. This year, this special event will take place on April 19th, 2019. 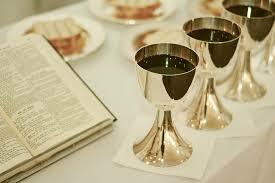 How and Why You and Your Family Should Celebrate The Lord’s Supper? During this time of year, we can show our appreciation of this momentous occasion by considering together this event and reflecting on what it means for each one of us. Some persons will choose to go their worship places and respectfully observe or partake in the wine and bread as it is passed around. The Lord’s Supper helps us to keep clear in mind what Jesus and his Father did for us. Because of this event, we have the hope of a better life for ourselves and our family as long as we exercise faith in Jesus. Jesus sacrifice has freed us from sin. No one else could do that for us! Are there any other ways you and your family celebrate The Lord’s Evening Meal? Share your comments below. I would love to read your suggestions! We have a better hope because of Jesus–indeed. Jem, I appreciate how you focused on stepfamilies as well. Much needed! Happy Easter! Thank you so much Kristi! 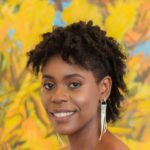 I’m a new stepmom and really want to help families but especially new stepparents who may feel timid about discussing such an important subject with their new family.